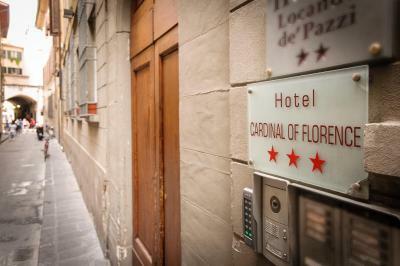 Lock in a great price for Hotel Cardinal of Florence – rated 8.5 by recent guests! The staff is AMAZING! 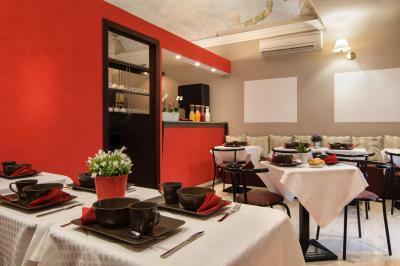 We are strongly recommend about this hotel: The location is the best, the atmosphere is great and they are very welcome to help with ANYTHING! 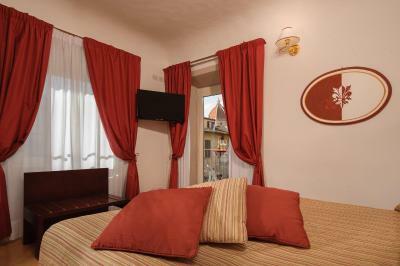 The location of the hotel is great, very close to all main areas of the city and the staff is very helpful. Great location! 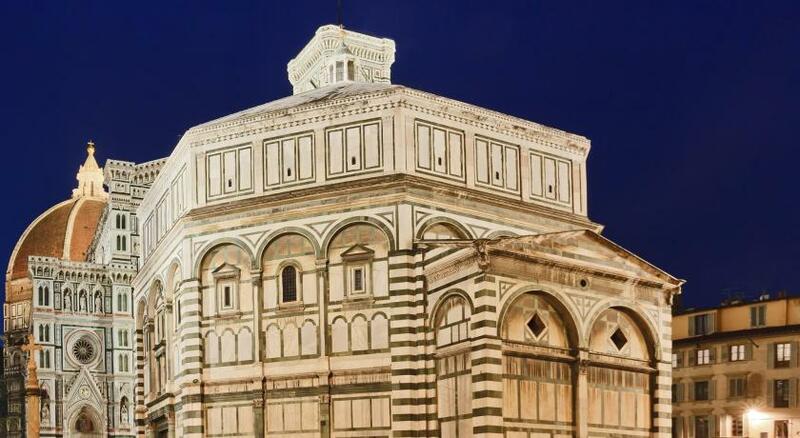 Very clean and the rooftop balcony has amazing views- no need to pay to climb the Duomo when you can hangout on the rooftop terrace. The guy working the front desk (can’t remember his name) was very helpful in helping us book the museum tickets (since it was still high season). Also was very friendly and had good tips for eating and touring. Great hotel for the price! We were very happy with our three night stay. They charge for breakfast but it was worth the convenience- it was a basic breakfast with a fair amount of variety. The staff were great. Breakfast was very good. Nice location. Everything! Very clean. 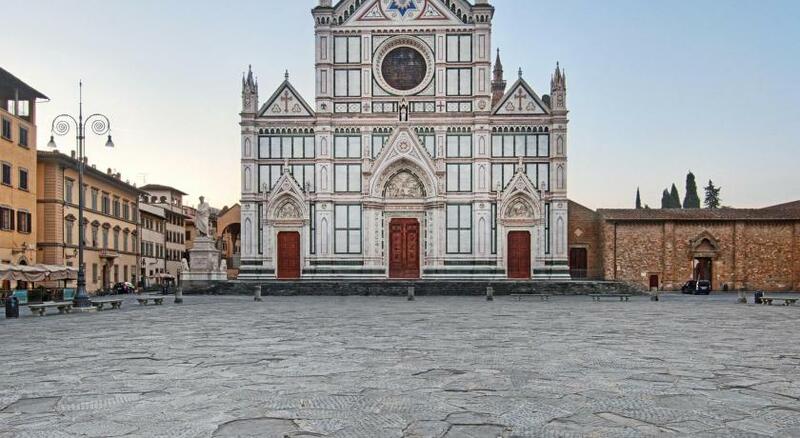 Amazing location with a 3 min walk to the Duomo. Awesome rooftop terrace view. AC worked well in the rooms. No complaints. The staff was amazing. Staff was friendly, helpful and available to answer questions. Rooftop terrace is nice to relax for a bit. Good breakfast included each day. 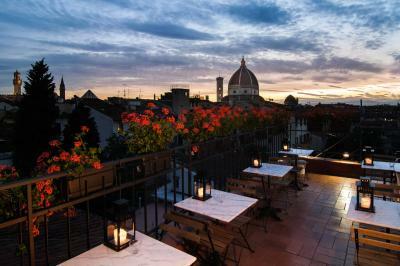 Hotel Cardinal of Florence This rating is a reflection of how the property compares to the industry standard when it comes to price, facilities and services available. It's based on a self-evaluation by the property. Use this rating to help choose your stay! 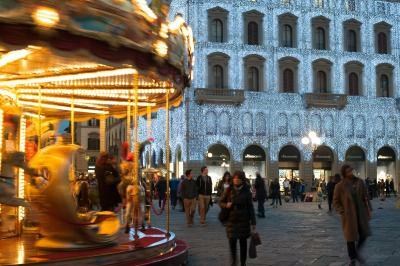 Just 1,000 feet from the Duomo, Hotel Cardinal of Florence is a 3-star building in the city center. 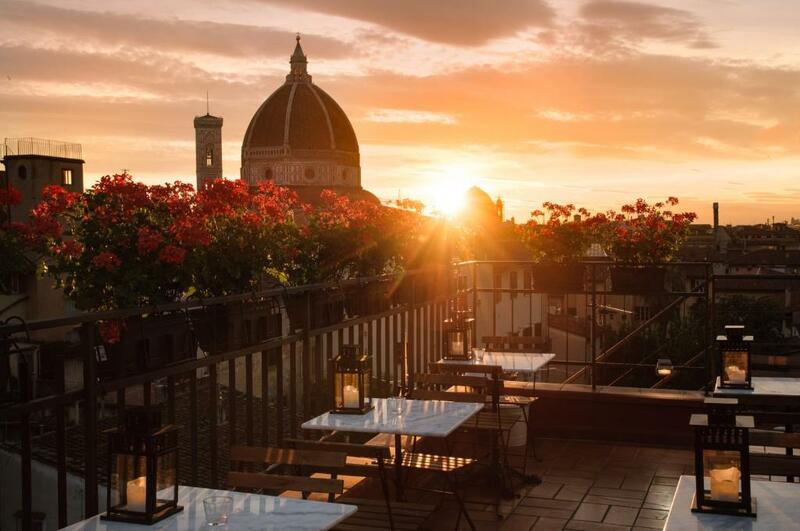 You can enjoy breathtaking views from the rooftop terrace, where breakfast and aperitifs are served. 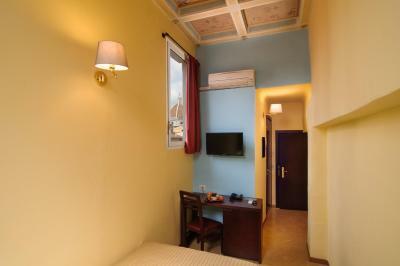 The rooms are air conditioned and have satellite TV. 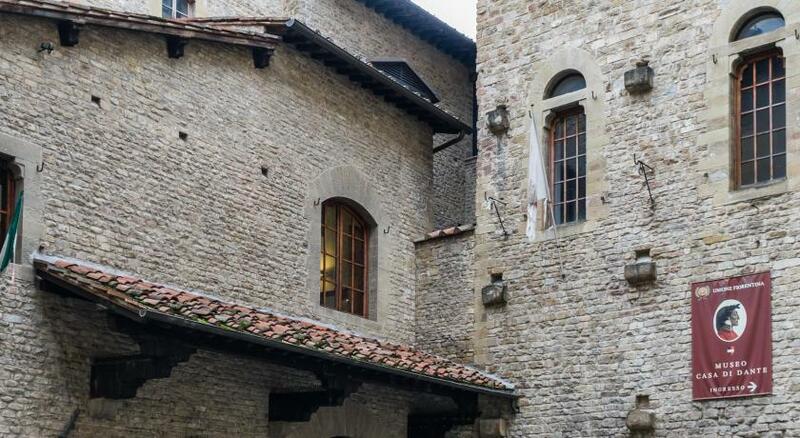 Located on the third floor of a historic building without a elevator, the hotel has a free porter service and offers a magical Renaissance atmosphere and bright, modern accommodations. 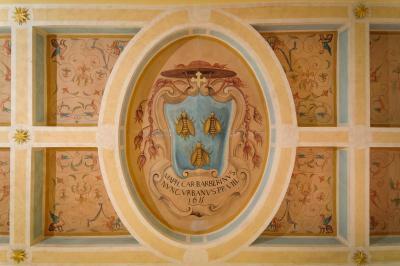 The rooms with attached bathroom feature tiled floors and classic furnishings. 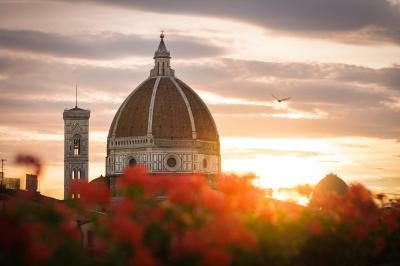 Some rooms feature panoramic views of Brunelleschi’s dome, of the famous Basilica di Santa Maria del Fiore. At the hotel's partner spa, guests can book spa treatments, manicures, pedicures and massages at an extra cost. 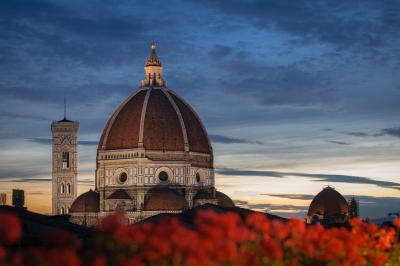 Cardinal of Florence Hotel is within a ten-minute walk from major monuments. 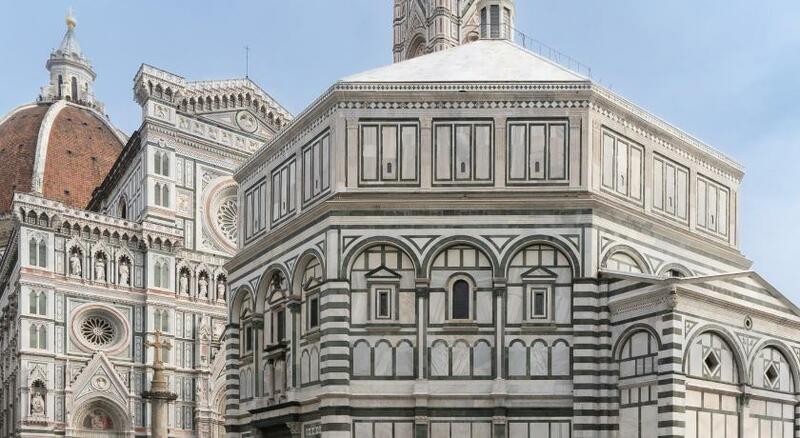 These include the Accademia Gallery, Piazza della Signoria and one of the world’s oldest museums The Uffizi Gallery. 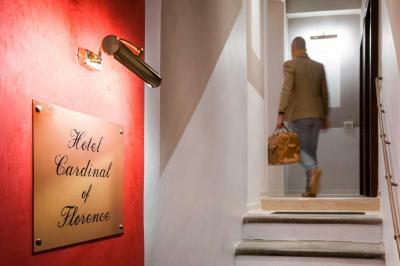 When would you like to stay at Hotel Cardinal of Florence? 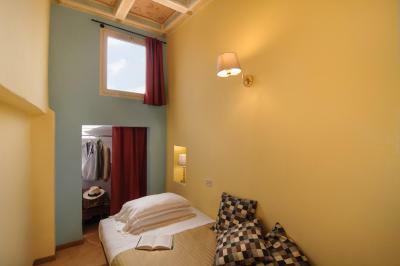 This single room features a mini-bar, tile/marble floor and air conditioning. 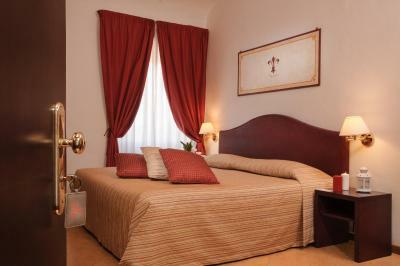 This double room features a tile/marble floor, soundproofing and air conditioning. A modern hotel, bright and young can offer spectacular cocktails on the rooftop terrace open to 360 degrees on the main monuments of the City! 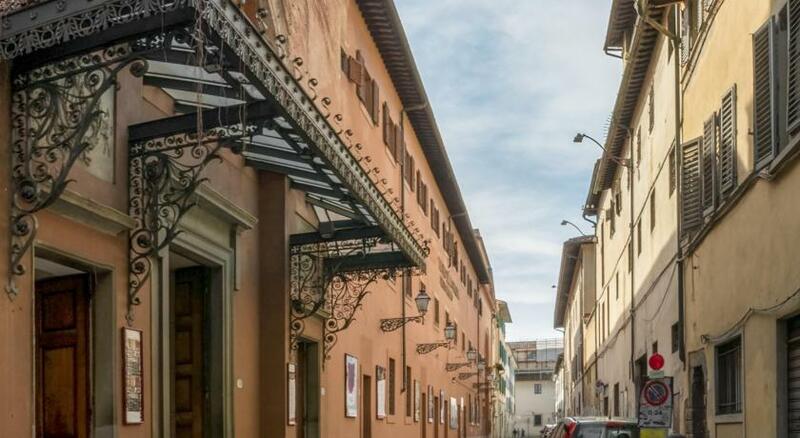 Hotel surroundings – This neighborhood is a great choice for travelers interested in cathedrals, museums and architecture – Check location Excellent location – show map Guests loved walking around the neighborhood! 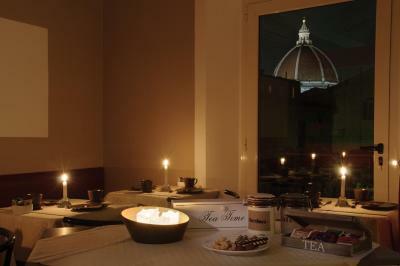 House Rules Hotel Cardinal of Florence takes special requests – add in the next step! 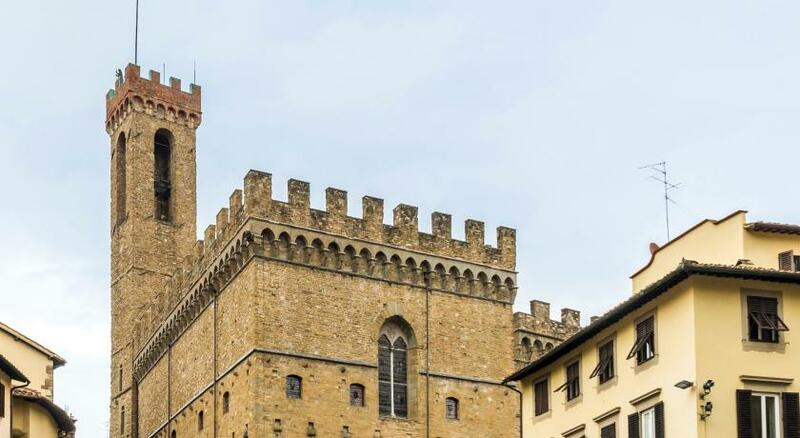 Hotel Cardinal of Florence accepts these cards and reserves the right to temporarily hold an amount prior to arrival. The toilet is quite big but the shower room is limited to a very small size, I hope it could be bigger one. Customer service is excellent. We didn’t request for the baggage carrying, they did it anyway for 3 floors. Our baggage’s were quite heavy so we really thank them for that. 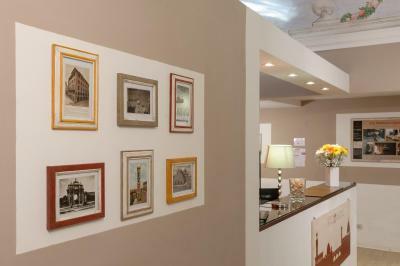 Marco and Mario are always helpful with our enquirers and being super patient to help us book gallery tickets. The view from our room is very nice, we appreciated it everyday. Location is perfect, close to everything with walking distance. Absolutely nothing! The only downside if you are not physically fit is the four flights of steep stairs up. The staff kindly took our cases up and down. Breakfast was not worth paying for. Boiled eggs were still raw, I had a small pastry and a croissant with juice for 5 euro. The breakfast could be more abundant by adding some veggies. Everything else was perfect. 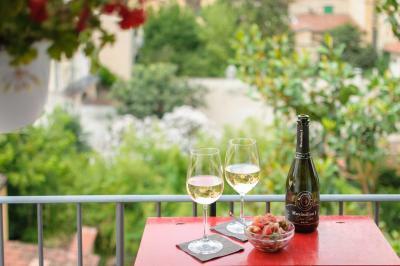 Terrace with the view of the city. 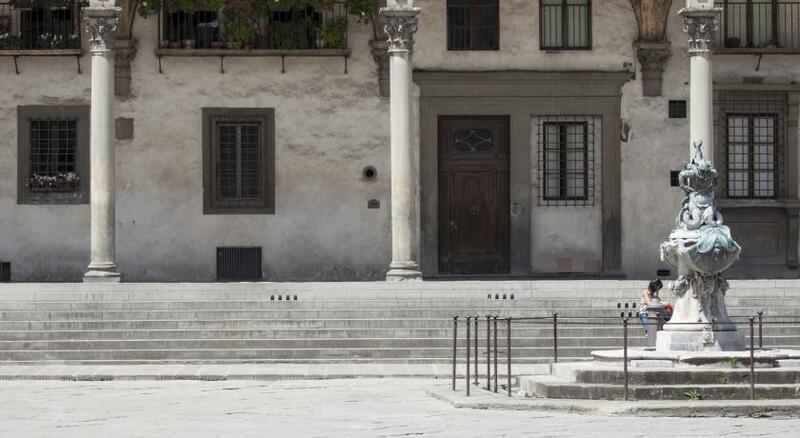 A lot of stairs, after walking through Florence for a few days they can be a bit exhausting. Terrace flowers could use a bit more maintenance to liven it up. No safe in the room (the staff offered to store valuables at reception but I don't think that's really secure enough). 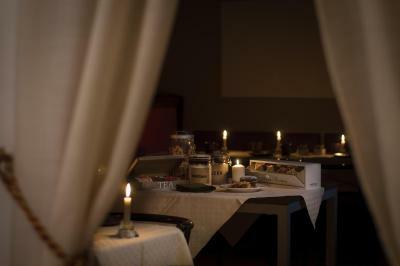 Staff were lovely, very knowledgeable and accommodated us with everything we asked. The staff carried our luggage up and down the stairs. Breakfast was nice and a good price. Huge room, bed was perfect, bath was great. Smelled really nice, presented well, pictures were very similar. I requested rose petals to be splayed across the bed and they put it in a lovely design of a heart with a few chocolates inside. View from the terrace made up for the unfortunate view from the room. The staff were very nice and helpful. 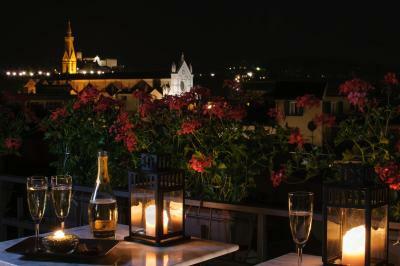 There was a lovely terrace on the rooftop with the great view! 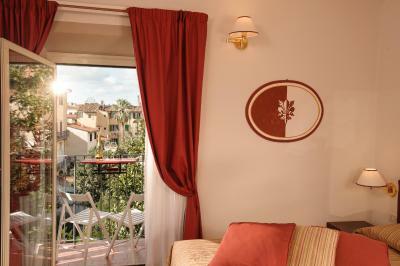 And great location, close to all sightseeing places, restaurants and shops. 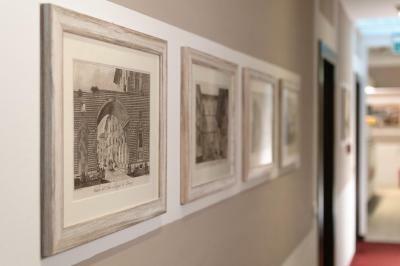 We had a wonderful stay, the staff were extremely friendly and helpful. They gave us lots of helpful advice and even took a photo for us on the rooftop terrace. 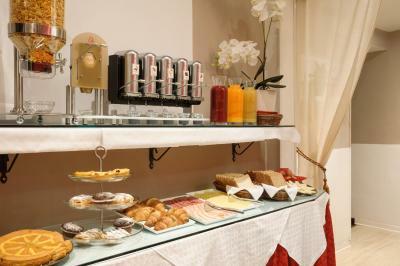 The breakfast is great, the rooms are a good size and the location is really fantastic. 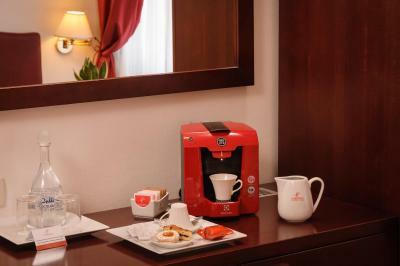 this hotel is really veery good! 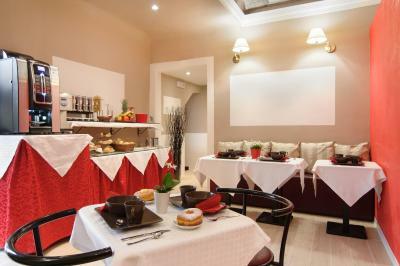 Polite, professional staff; clean and neat, very nice location. I definetely can recommend this hotel. Comfort and safety on a high level. Very nice place, exactly met our expectations. 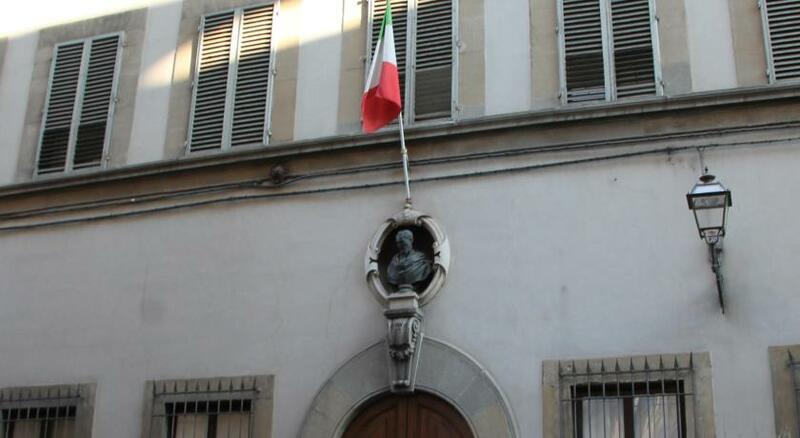 The old building in the immediate center of Florence. 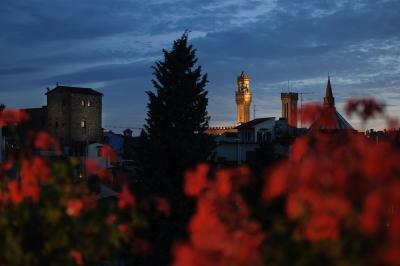 We only took a bus once, when going to Fiesole. 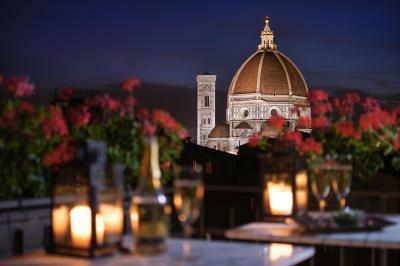 The terrace is fantastic, and the view of Duomo top from our tiny balcony was great! We didn't mind the steps to the hotel, even with the luggage. It just added to the authenticity of the whole experience. Many thanks for a great stay! I absolutely felt at home in this place. 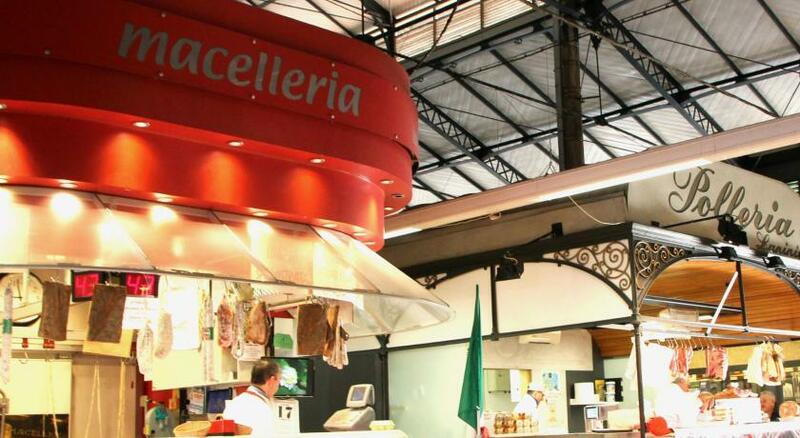 Ultracentral, very close to the Duomo, easy reachable from the main train station, offers a wide variety of itineraries in the city. Very kind, professional and helpful staff. Clean room and delicious breakfast. 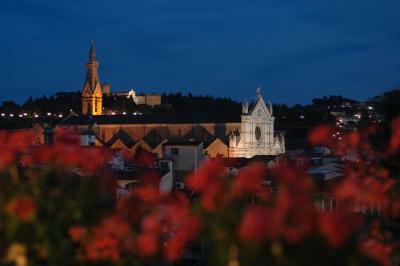 A huge plus goes to the terrace from where one can have a beautiful panoramic view of the city. I recommend this place and I plan on returning.